Every structure, from the smallest house to the largest industrial unit is built on foundations. It is the function of the foundation to support the load of the structure without cracking or failing. It often takes a lot of calculation to identify the correct foundation for the building being designed; however, especially in houses, a standard strip foundation is often the norm. 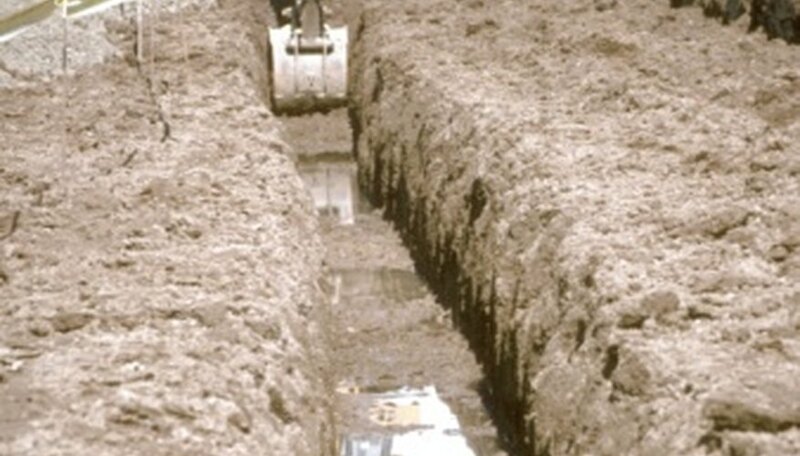 A foundation will begin with a trench that is excavated mechanically using large equipment. The depth to which the foundation goes is calculated as a result of the anticipated size and loads of the structure being built; the width is normally around two feet. A foundation can either be built in the form of a trench full of concrete, or – for larger buildings – piles pushed into the ground can provide a suitable foundation. If the trench is very deep, formwork may need to be installed to prevent the sides of the trench from collapsing. Many buildings will require reinforcement in the foundation, depending upon the size and load of the building as well as the ground soil conditions – for example, if the ground is wet and is therefore prone to swelling. Reinforcement comes in the form of a mesh constructed from reinforced steel bars. These are laid at the bottom of the trench, slightly elevated by spacers to allow the concrete to flow beneath. The next step in foundation construction is pouring the concrete into the trench and over the mesh. Again, the strength of the concrete is determined by the calculations made during the design stage, as is the depth of concrete in the foundation. Once the concrete is poured, it will need to be "tamped", which is the process of hitting the surface of the foundation with a plank of wood to remove trapped air that could compromise the strength of the concrete once dry. Finally, to complete the foundation construction, blocks are built on top of the dried foundation concrete to bring the construction up to ground level. Anyone carrying out this work must take care when lifting blocks that no musculoskeletal damage is done; you should always lift with the legs, not the back. What is the Cost of Replacing a Caved in Basement Foundation?